Spend two nights on a bed and breakfast basis at the fabulous 4* boutique Hotel de l’Yeuse. Enjoy an introduction to Cognac tasting in the hotel’s Cognac library! 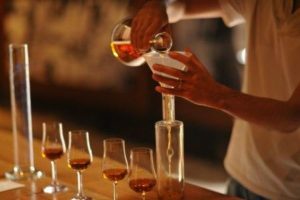 Visit a family-run Cognac House, where you will have the unique opportunity to see the ‘Bonne Chauffe’ second distillation. Indulge in a gourmet four course dinner, served in the hotel’s restaurant.